Have you ever had a breakdown on a busy road in the Ellesmere Port area, or gone to your car in the morning only to find it would not start? If you do not pay for expensive breakdown cover, it can be tricky to know who to call. 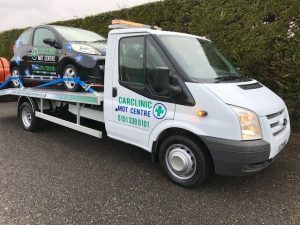 Help is at hand with the launch of the new Car Clinic MOT Centre Ellesmere Port breakdown recovery service. We can help you get back on the road. When your car breaks down, it is a real inconvenience. It’s bad enough to break down on your own driveway or in the car park at work, but when you are travelling on a local motorway such as the M56, M57, M58, M6, M53 or M62, or on busy A roads like the A483 it can be dangerous as well as inconvenient. 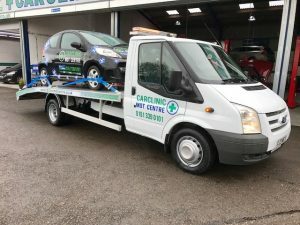 Buying full breakdown cover is expensive, and a lot of services insist that you use their own (expensive) garages if repairs are needed, or will only recover you so far: That’s not fair if you want to use a trustworthy garage in Ellesmere port so we decided to offer our own car breakdown recovery service for our Ellesmere Port customers. 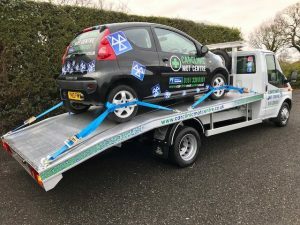 Our breakdown recovery service is fully insured and can carry cars and light commercials. Our prices start from at just £40 plus vat, with a full vat receipt provided. 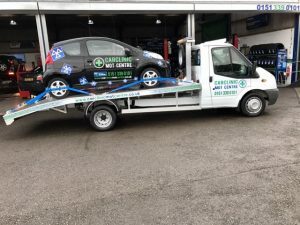 We will even deliver a courtesy car if you need one when we collect your car if it is coming to us for repair. The opening hours for the recovery service are: 8:30 am to 5:30 pm Monday to Friday, and 8:30am to 1:30pm on Saturdays. 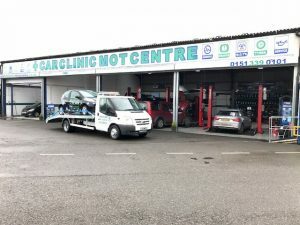 Car Clinic MOT Centre’s Ellesmere Port breakdown recovery service is available to drivers in Chester, Wrexham, Flint, Warrington, Birkenhead as well as Ellesmere Port. 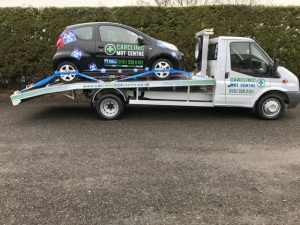 Call us on 0151 3390101 for more information about our Ellesmere Port car breakdown recovery service or to receive a free Ellesmere Port car repairs quote.